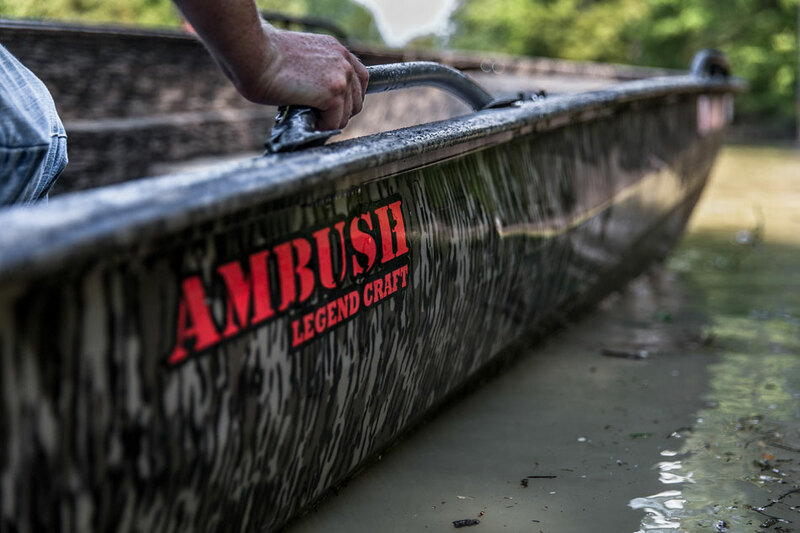 With it’s innovative design and unprecedented handling the Ambush delivers an outstanding boat that is the benchmark for performance aluminum boats. 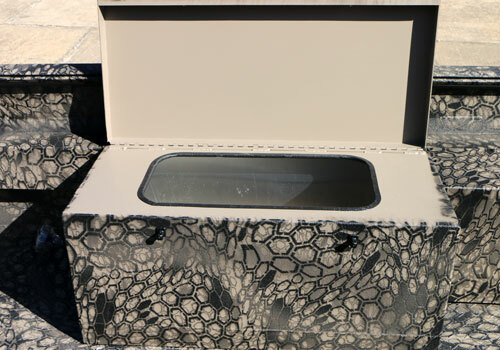 Its rugged construction, roomy interior, extra storage and add on customized features makes this boat an exceptional choice for either hunting or fishing. 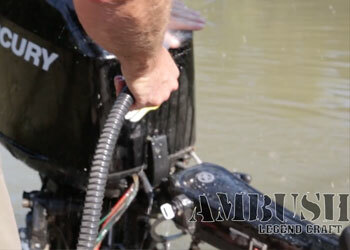 Or, you can quickly convert it to the perfect performance boat you can show off on the river! 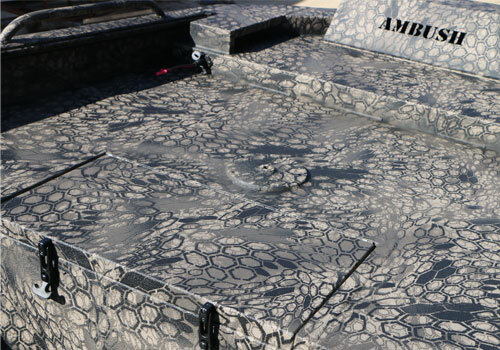 Advance engineering and design makes the Ambush different than any other performance aluminum boats in the way it feels and handles. 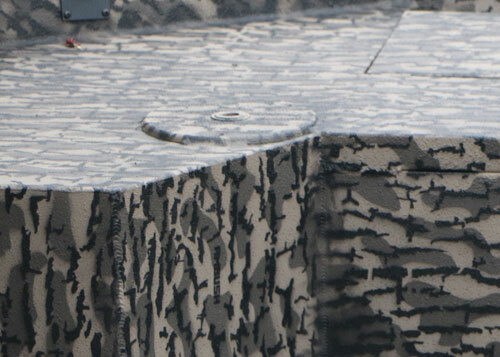 With its unique hull design, V bottom with reverse chines, the faster you go, the higher you rise out of the water. 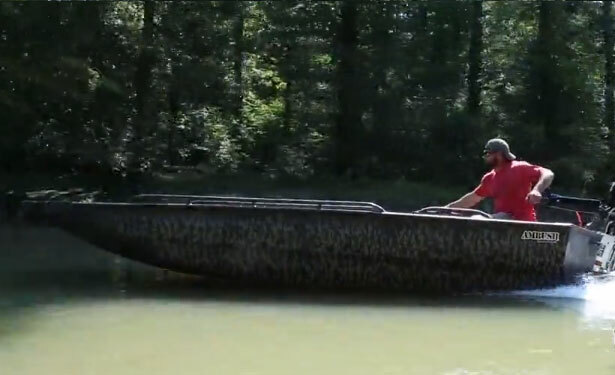 The feel is more like a bass boat with a pad, yet it gives you a very stable ride. 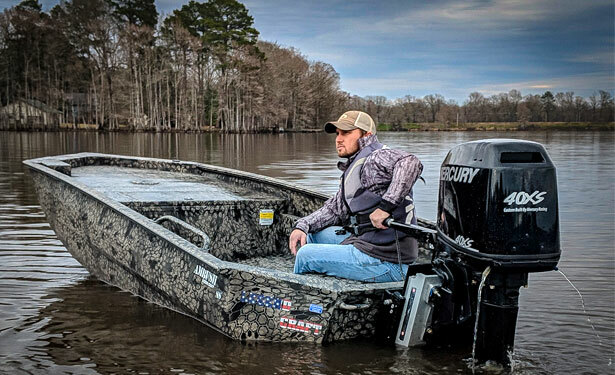 Our hull sides are designed with less flare to make it easy to maneuver in those areas where the timber gets tight and you need more maneuverability. An open floor plan gives you plenty of room and and is designed to carry those heavy loads. 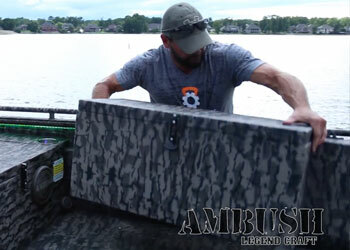 Additional options give you ample storage to store all your gear safely out of the way. 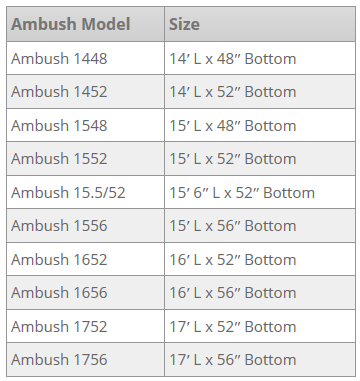 Chose between the Ambush Standard and the Ambush Stealth Series. 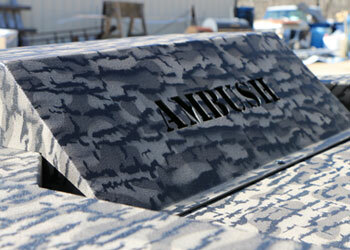 The ultimate all-welded aluminum performance boat that provides excellent handling and reliability. 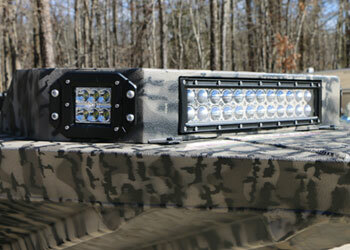 Includes lots of additional options that are designed for the serious hunter or fisherman in mind. 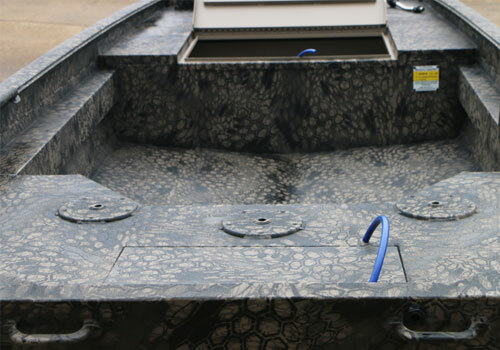 Easily make a few changes and now you’re ready for some fun on the water with a need for speed! 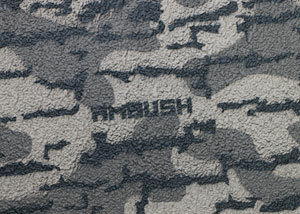 Ambush Stealth Series is built like our Ambush but with 5052 grade .80 gauge Aluminum. 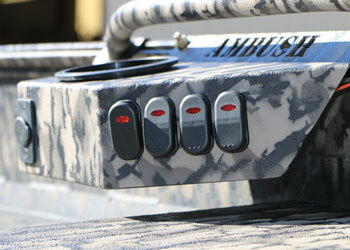 The Stealth series is 20% lighter than the standard .100 Gauge Ambush but with the same handling. 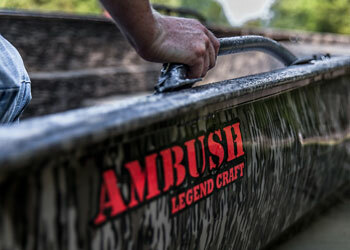 The Ambush SS has an overall lighter weight and was built for the boater with speed in mind. 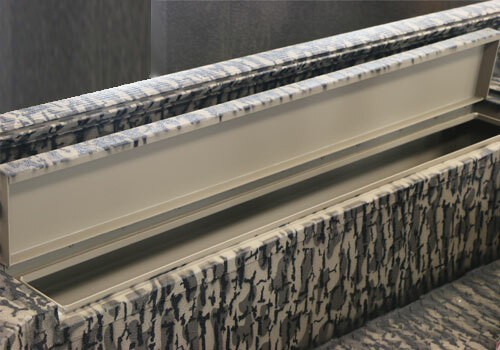 Designed for the optimal performance and functionality. 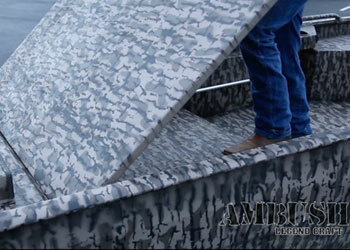 Custom built the way you want to match your style of hunting, fishing or play. 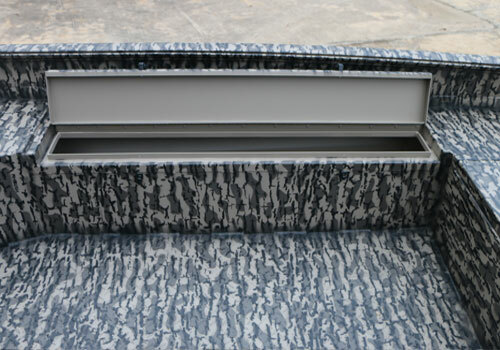 High or Low Transom available. Explain more about the transom here. 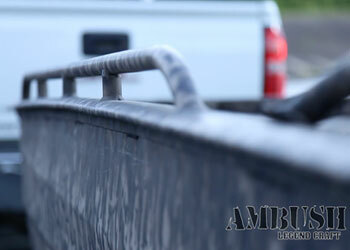 Optional rails in 2ft, 4ft, or 6ft. 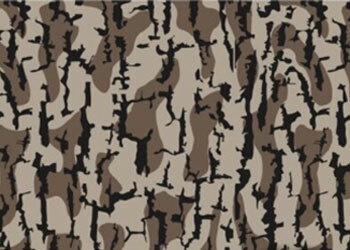 Perfect to tie your gear down. 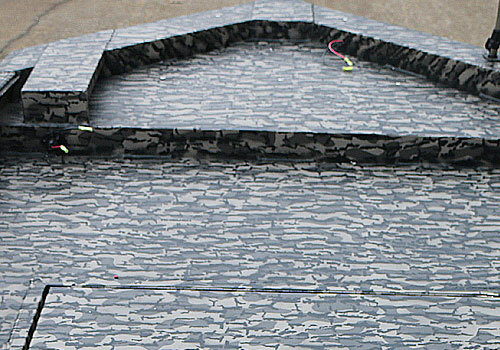 Removable handles available in 18 inches. 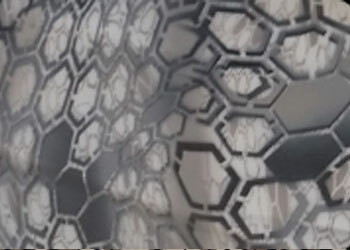 Perfect when you need to change your layout. Available ONLY on low deck boats.  Only available on Mid or High Deck. Available on Mid and High Deck Boats. 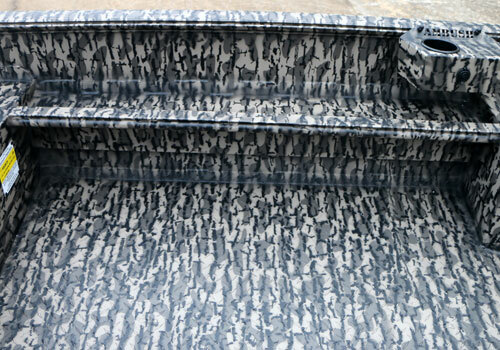 Seat base, only surface mount available. 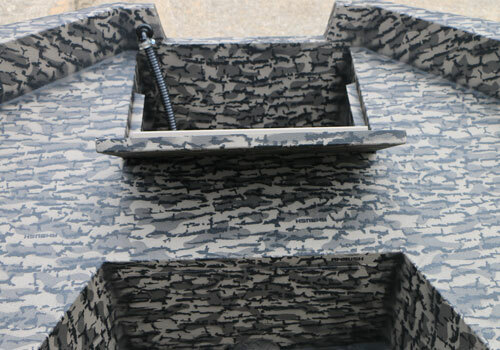 Your choice of single, dual or 5″ deep gun tray. 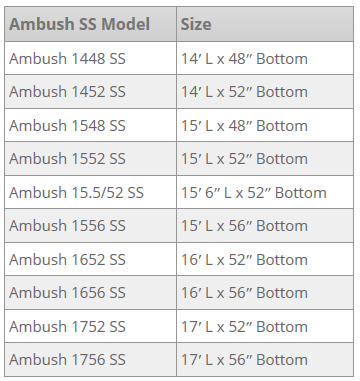 Only available on 15’ and longer boats. 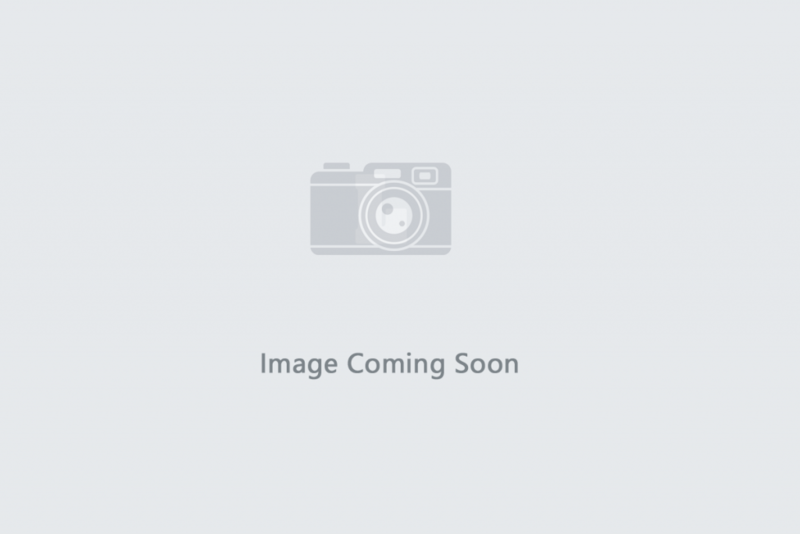 Rod box only available on 15′ and longer boats. 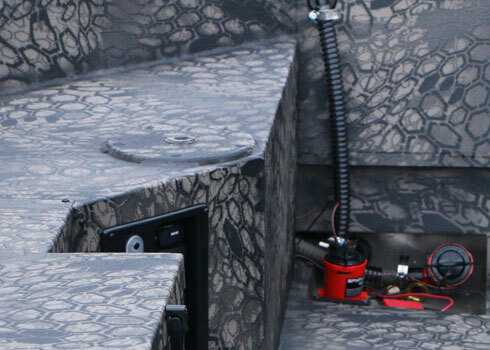 Easily mount trolling motor to front of boat. 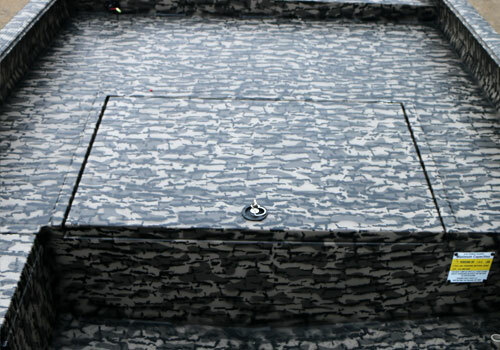 Our built in livewell will keep your bait and fish alive with constant aeration. 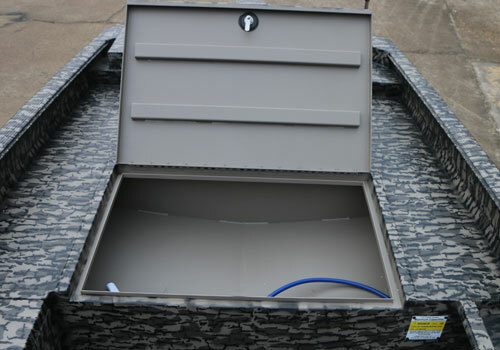 This livewell is designed to be easily removed to create more room when needed. 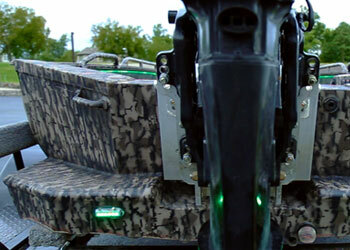 Includes accessory plug for your cell or additional lighting. 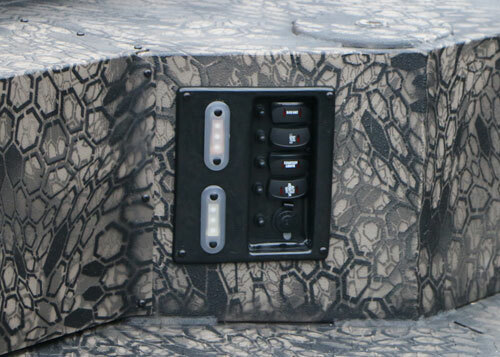 Switch plate features are recessed and plug in your cell or additional lighting into the socket. 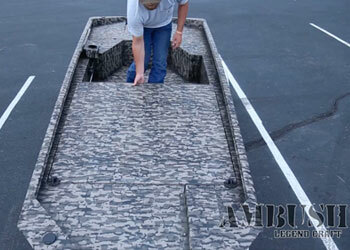 Run the fuel line from the front storage to the back. Complete kit w/ mounted switches. 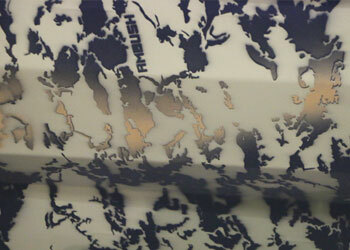 All Legendcraft boats come with a base coat of paint. 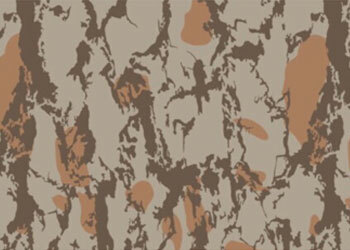 You can add additional designs such as camo. 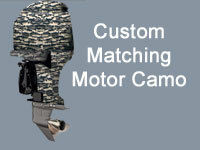 We can also provide camo on the motor if purchased at the time of build.